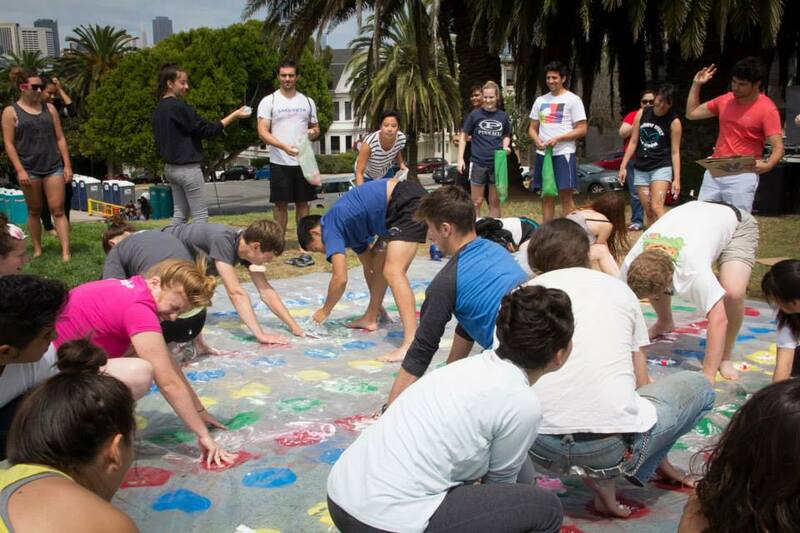 We decided to take over Dolores Park in San Francisco, CA to bring the largest game of messy twister. 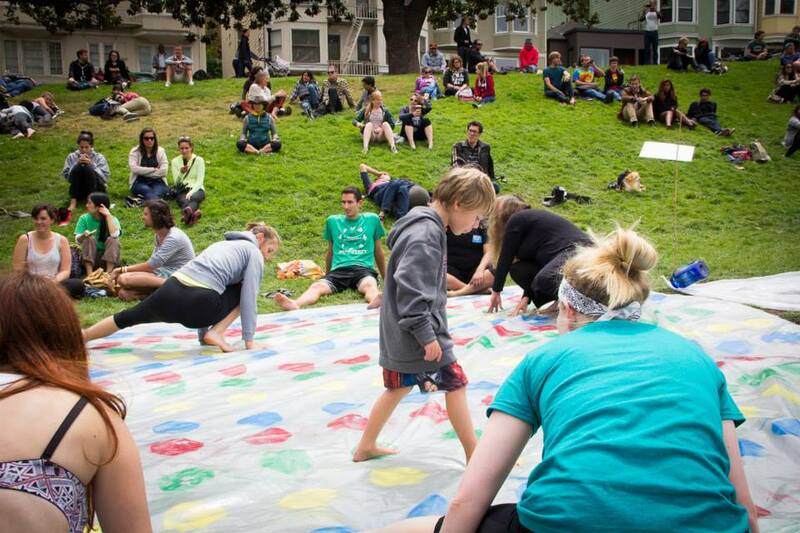 On this day, we had a local DJ play while strangers battled it out on a massive custom twister mat. 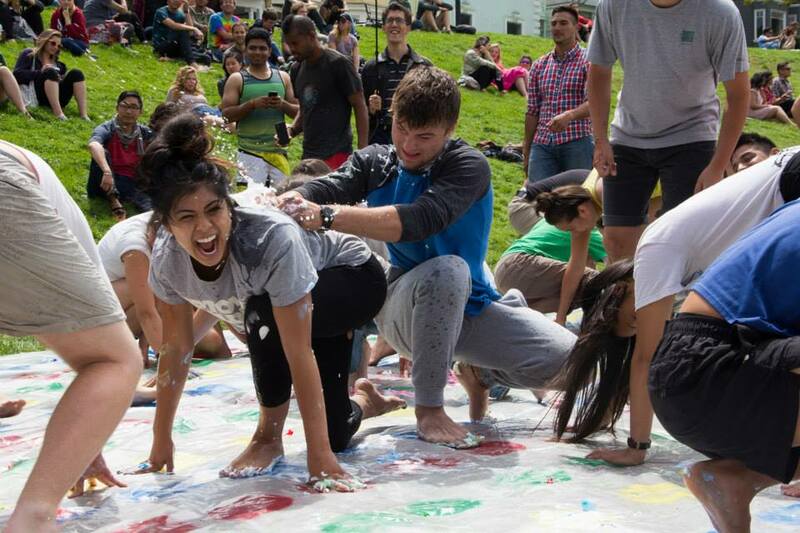 We covered the mat with shaving cream and paint so it was quite the messy battle. To make matters worst, we even had water balloons and water guns ready to give the participants an added challenge!